While northerners are filling their fall containers with traditional mums and gourds, gardeners in warmer climates are gearing up to begin a whole new gardening season that lasts from fall through winter. 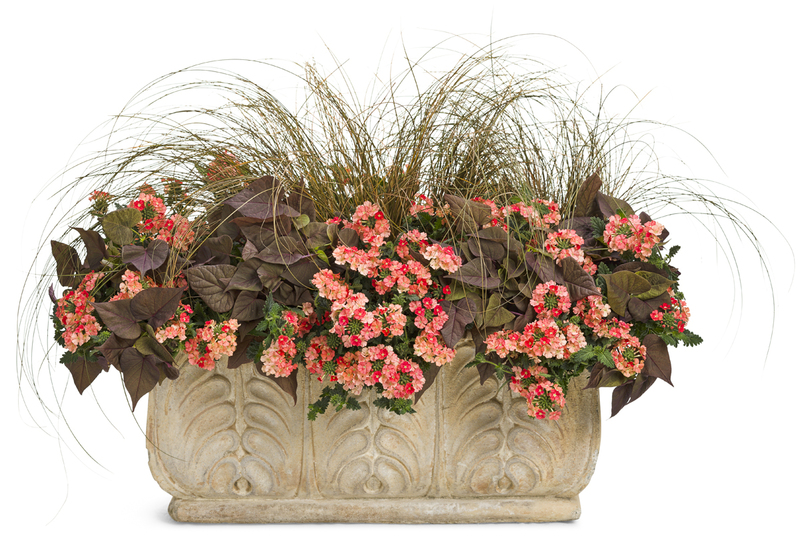 Let's take a look at five non-traditional container recipes for southern gardens that reflect the warm mood and rich textures of the season. 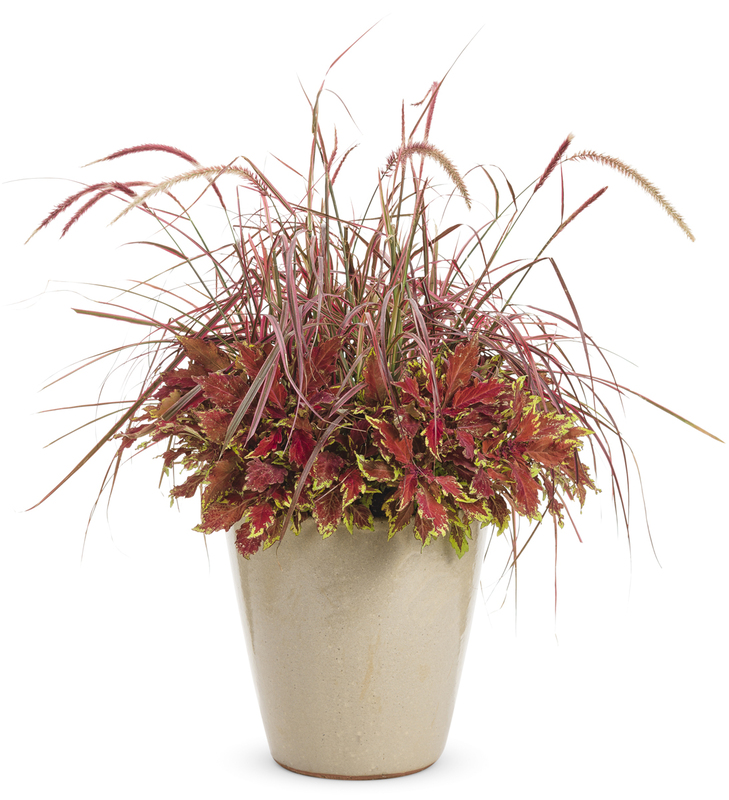 Though its coppery tones are cool all year long, Graceful Grasses® Toffee Twist sedge is especially nice in fall container combinations. Look how its superfine leaves gracefully cascade over the warm peach tones of Superbena® Royale Peachy Keen verbena and heart-shaped leaves of 'Sweet Caroline Sweetheart Red' potato vine in this elegant recipe. Wouldn't this look beautiful against the backdrop of a cream stucco or tan limestone home? It's lovely in containers, but also grows together beautifully in the landscape. Best grown in part sun to sun. You can almost hear the fire crackling among the fiery red Superbells® calibrachoa and Sunsatia® Blood Orange™ nemesia in this striking recipe. The strappy red variegated leaves and purple plumes of Graceful Grasses® 'Fireworks' fountain grass give a celebratory wave as you pass by. 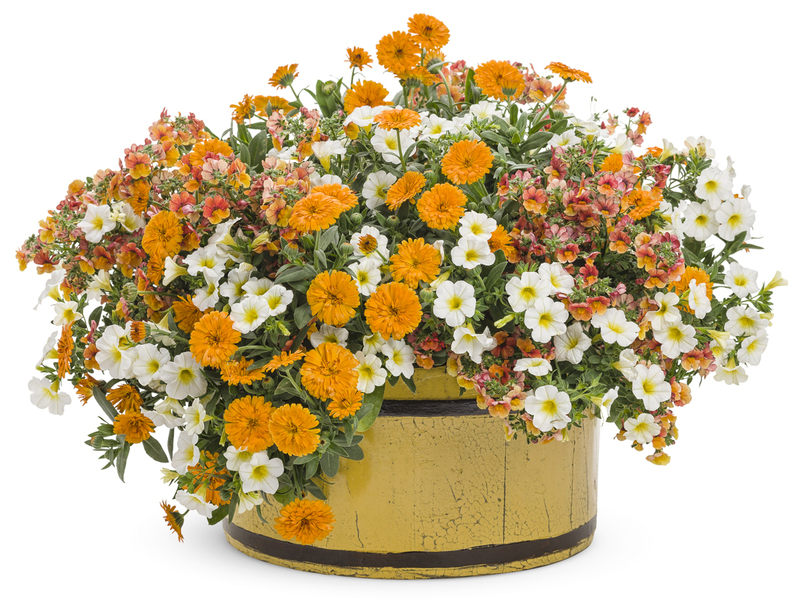 Near-black, heart-shaped Sweet Caroline Sweetheart Jet Black™ foliage anchors the container and complements all the warm tones surrounding it. This container recipe would look right at home near a fire pit and would really pop against a dark background. Best grown in full sun. Happy Halloween! Disguise your window boxes with a fresh coat of paint and this boo-tiful mix of oranges and purples. Here's the recipe. 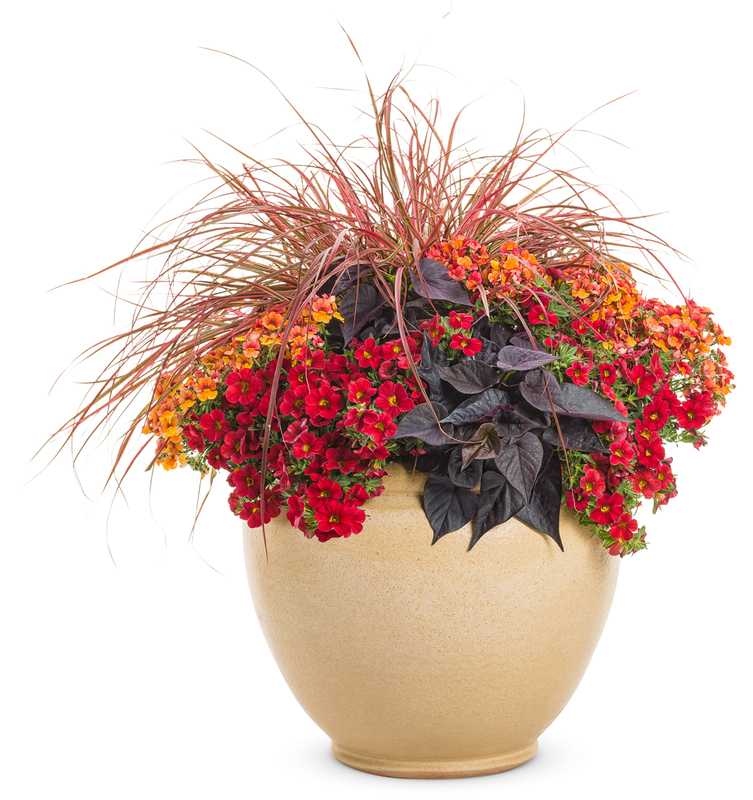 Super simple yet fabulous, our flashy Mango recipe combines just two kinds of plants — ColorBlaze® Royale Apple Brandy® and 'Fireworks' fountain grass. This versatile coleus, which has performed spectacularly in full sun in Florida trials but also grows well in shade, complements the tall, variegated 'Fireworks' fountain grass in upright containers. Wouldn't it be dazzling on your party deck this season? How about planting a matching pair to flank the front entrance of your home? This fabulous foliage matchup will go the distance from fall through winter. Best grown in part sun to sun. Want more container recipe ideas? Find nearly 1,000 recipe ideas at provenwinners.com.